Cyclobenzaprine is a Generic name for muscle relaxant and a CNS depressant. Chemically it is very similar to the class of antidepressants drugs called tricyclic antidepressants. It has similar molecular structure to Amitriptyline, differing by only one double bond. It is used to relieve skeletal muscle spasms and related pain in acute musculoskeletal conditions. It is most commonly available on the market under the Brand name Flexeril. Amrix, Fexmid and FusePaq Tabradol are also common brand names for cuclobenzaprine. This drug is available in the form of a tablet or extended-release capsule to be taken by mouth. It is available in doses of 10 mg, 15 mg and 30 mg. Cyclobenzaprine was first approved by the FDA in 1977 under the brand name Flexeril, and is currently manufactured by PD-RX Pharmaceuticals. Similarly to the other tricyclic antidepressants, cyclobenzaprine exhibit anticholinergic activity, norepinephrine potentiation, and reserpine antagonism. Cyclobenzaprine has no direct action on the neuromuscular junction or the muscle but it can relieve muscle spasms via central action, possibly at the brain stem level. Cyclobenzaprine binds to the serotonin 5-HT receptor and is considered an antagonist of 5-HT2 receptors. It reduces tonus of the muscles by decreasing the activity of descending serotonergic neurons. There are various anecdotal reports on the internet suggesting that some people abuse cyclobenzaprine in order to achieve narcotic-like “high”, because it can cause drowsiness. It is known that cyclobenzaprine can produce moderate to severe anticholinergic effects thus in higher doses it may disrupt the activity of certain neurotransmitters in your brain which can lead to cognitive impairment which are most abusers seeking for. However, at higher doses, severe ataxia may be caused, a neurologic condition in which you lose control of your muscle movements. 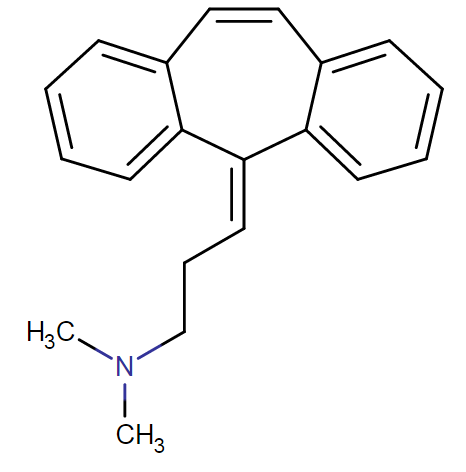 The street name for Cyclobenzaprine or Flexeril is mellow yellow or cyclone. The DEA does not currently have Cyclobenzaprine scheduled as a controlled substance, although due to its sedating effects, the drug does have a slight potential for abuse. 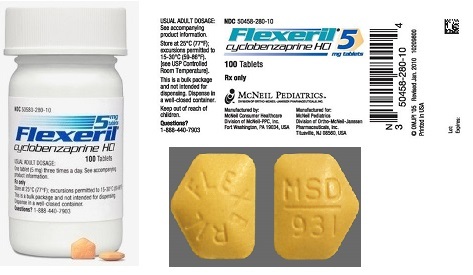 Abusers usually take Flexeril as a most available brand name of cyclobenzaprine. Sometimes this drug is abused in combination with stimulants such as amphetamines or cocaine, because some abusers want to calm down the stimulant high. According to reports, singer Whitney Houston had five drugs in her system when she committed suicide in 2012, one of which was cyclobenzaprine. While cyclobenzaprine is generally safe when used as directed, its abuse can have many adverse effects. Who abuses cyclobenzaprine the most? In past few years, cyclobenzaprine abuse is increasing, and this is mostly because DEA reclassified muscle relaxants containing carisoprodol to the Schedule IV Controlled Substances category in 2012 meaning that those who are caught illegally possessing this drug can earn heavy fines and/or prison sentences. But, cyclobenzaprine is still not classified as controlled substances, thus doctors are freer to prescribe them. Also such drugs are more likely to be available illegally on the Internet. The National Survey on Drug Abuse and Health described that over 12% of Americans ages between 18 to 24 years old abuses prescription drugs for non-medical purpose, and over 2 % have dependencies on such drugs. However, the big majority of them, about 94%, did not buy their drugs from street dealers. 67 % obtained them from medicine cabinets owned by family and friends or through illegal Internet pharmacies. This pattern of getting the drug is no doubt similar for Flexeril abuse. What are the side effects of Flexeril (cyclobenzaprine) abuse? Researchers from the DEA have found that the majority of Flexeril abusers are also using other illegal and/or prescription drugs together with it. Abusers often take cyclobenzaprine in order to enhance the effects of alcohol, benzodiazepines, barbiturates and narcotic. They also take cyclobenzaprine as a sleeping pill to achieve deep states of relaxation. If taken in high doses, cyclobenzaprine can create the sensation that the user is floating out of his or her body. 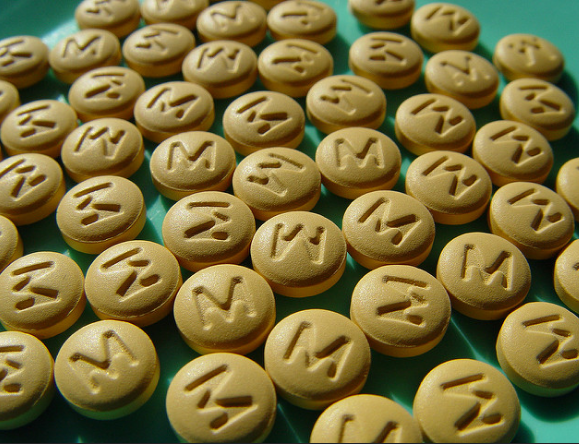 Some abusers have experienced hallucinations and euphoria while taking Flexeril, although the drug is not considered as “good a high” as some other drugs. “I noticed Flexeril, my favorite non-entheogen, seems to have a quasi-bad rap. A while back I was having a problem with stress induced migraines interfering with my vision. A neurologist ascribed this to tension in my neck. I was given first a combo of Flexeril (10mg) and medrin (??). I had taken Flexeril before courtesy of my father for muscle strain from excessive strength training; but only once. Getting a script to Flexeril was a god send. I was floating. Nothing I had ever taken has come close to Flexeril in sheer muscle relaxation, wonderful for doing exercises similar to the san’ti posture in xing yi. I can do my standing chi gung for many times what I could take before and muscle tremors never happen (also energy in the body seemed to be more subtle and smooth in its flow, hard to describe. I also noticed that mentally it was easy to find one pointedness, in fact it was hard to avoid it, but enlightenment on Flexeril is a far cry from the truth). Soon however I had eaten my two bottles full and to fill the void my neurologist prescribed me neurontin and some sort of migraine nose spray. I touched neither. He also suggested I get botox in my neck to help the tension. I never called him again after that. Drowsiness is the most common overdose indication of overdose. Irregular heartbeat is also vry common symptom of cyclobenzaprine overdose. Difficulty breathing and anziety often accompany the latter symptom. After abrupt discontinuation of cyclobenzaprine, you may experience certain adverse symptoms known as withdrawal syndrome. Cyclobenzaprine is only intended to be used for 2 weeks, but when certain individuals use it for years or abuse it in high doses frequently they are more likely to develop the syndrome. Withdrawal symptoms after cyclobenzaprine long-term use are flu-like and may include: nausea, vomiting, difficulty sleeping, sweating and muscle ache. Withdrawal syndrome can be easy by slowly tapering off the doses of cyclobenzaprine. To determine how long cyclobenzaprine stays in your system after complete discontinuation, it’s important to consider cyclobenzaprine average elimination half-life time which is estimated to be 18 hours. According to this, the drug will be eliminated from systemic circulation in around 4.13 days after final dose is taken. But, it is always required to consider the fact that elimination half-life can range between 8 to 37 hours, because there is important interindividual variations in regards to excretion. So, those who are the fastest metabolizers of Flexeril’s, their elimination half-life time is expected to be 8 hours, so the full amount of drug is expected to be eliminated from the system in around 1.83 days. On the other hand, those who are slowest metabolizers with elimination half-life of 37 hours, for them it may take 8.48 days to fully eliminate the drug from their body. In overall, elimination of cyclobenzaprine will take between 4 and 5 days after discontinuation. Different factors may influence how long cyclobenzaprine will stay in your system. These factors include: age, body mass, genetics, metabolic rate, liver function, co-administration of food or drugs, urinary pH, dosage and frequency of use. Does Flexeril (cyclobenzaprine) show up in drug tests? Routine urine drug tests that can be easily performed can detect the presence of cyclobenzaprine. Cyclobenzaprine has elimination half-life time of approximately 18 hours, so it will probably stay active in your body for 90 hours. Therefore, it will be detectable on drug tests for 3.75 days after the last dose is taken, but this time period may vary from person to person. This means that if certain individual has liver or a kidney issues, the drug may stay in their bodies longer. How to know if someone is abusing cyclobenzaprine? Have you been using cyclobenzaprine for more than 2 weeks? Are you taking cyclobenzaprine without a doctor’s prescription? Are you taking cyclobenzaprine in amounts greater than 60mg a day? Do you take cyclobenzaprine and any other drugs in combination with it for non-medical reasons, for example, to relax or to get high? Do you use cyclobenzaprine in combination with alcohol, marijuana, or CNS depressants? Do you experience withdrawal symptoms when you stop using drugs? Do you use cyclobenzaprine to come down after cocaine or other stimulants use, or in order to get to sleep? Do you find it unbearable to go more than 1-2 days without taking cyclobenzaprine for non-medical reasons? Have you tried on your own to quit using drugs but failed? Do you feel guilty or ashamed about your use of drugs? Do members of your family or your friends criticize you for your drug problems? Do you feel that your use of drugs is beyond your control?